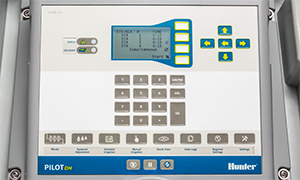 Integrated hub systems are one of the fastest-growing forms of technology in irrigation control. A key advantage over field controller systems is that integrated hub systems use significantly less wire. This means lower costs, faster installation, and easier system diagnosis and repair if needed. Systems can be easily expanded — with minimal digging and disruption of landscaping — by adding more two-way modules (TWMs) instead of running additional wires. Pilot embraces this cost-efficient approach. Pilot two-way modules are available with 1-, 2-, 4-, and 6-station outputs, making it possible to run each head on an entire green with a single device. In all, TWMs let you operate about 1,000 stations up to 1.5 miles from a single hub. 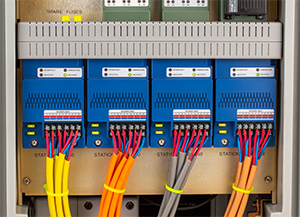 Pilot two-way modules include built-in surge suppression, color-coded wire connections, true independent station control, programmable station addresses, and two-way feedback to the hub with confirmation and status indication. Pilot-SG surge suppressors are required when the system is designed and installed with golf rotors containing integrated TWMs. 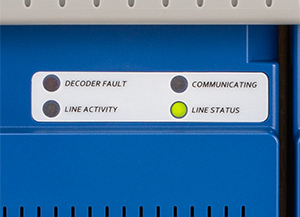 In addition to control panel indications, diagnostic lights on output modules visually tell you if stations are running, station outputs have overloaded and much, much more. Enables your integrated hub system to grow with your course. Start with 250 – grow to 999. All integrated TWM rotors include two 3M DBRY-6 splices for connection to the two-wire path. Integrated TWM systems require grounding with Pilot-SG surge suppressors coupled to an appropriate grounding plate or rod. Hunter recommends a minimum of one Pilot SG every thousand feet or 12 TWMs.